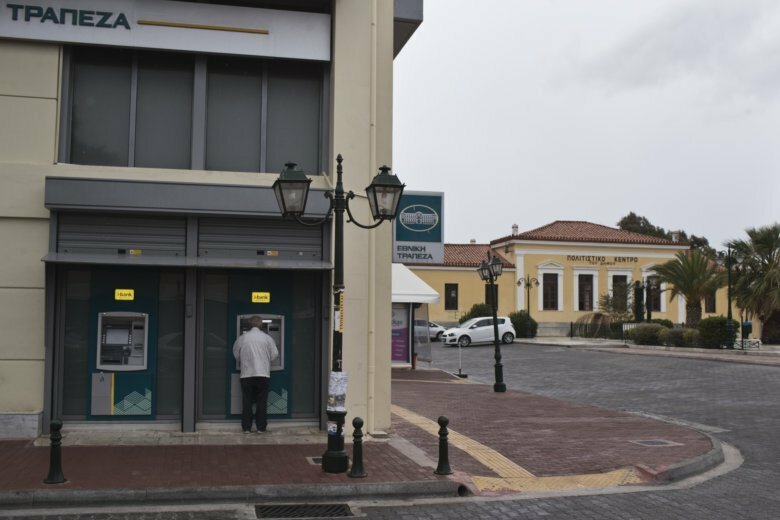 ATHENS, Greece (AP) — Greek authorities said Thursday they will lift within days restrictions on domestic cash withdrawals imposed more than three years ago to prevent a bank run by panicking depositors at the height of the country’s debt crisis. The finance ministry said that from Oct. 1 depositors will face no limits on withdrawals from bank accounts in Greece. Greeks abroad will be able to withdraw up to 5,000 euros ($5,800) a month. Furthermore, the limit on carrying cash abroad will be increased from 3,000 euros to 10,000 euros. The moves, which restore a key element of normality to Greece’s battered economy, come a month after the country formally emerged from its last bailout program. The restrictions were imposed in June 2015 to prevent banks from failing as depositors tried to empty their accounts after talks between the government and bailout creditors appeared on the verge of collapse. Initially, account holders were only allowed to withdraw 60 euros ($70) a day, and if they missed one withdrawal they were unable to get the cash another day. That led to long queues outside bank cash machines, with some banks laying out refreshments for frustrated customers in the first few days. The monthly limit of about 1,800 euros was gradually raised, reaching 5,000 euros in May. Greece was forced to request international rescue loans in 2010, when its credit rating was repeatedly downgraded following revelations it had misreported key fiscal data, and private investors refused to lend the country at affordable rates. It received three successive bailouts — a total of about 290 billion euros ($340 billion) — in return for which successive governments imposed severe income cuts, tax hikes and economic reforms. But the cutbacks ravaged the economy, which lost about a quarter of its value during the bailout years. Despite the end of the bailout program on Aug. 21, austerity policies remain in place, unemployment is the highest in the European Union at just under 20 percent, and Greece’s credit rating is well below investment grade, meaning it would pay high interest to sell its bonds to private investors. On Thursday, the rate on Greece’s benchmark 10-year bond was just above 4 percent, compared to 0.5 percent for the corresponding German bond. The country’s finances are still subject to deep scrutiny from its European creditors and the International Monetary Fund, which will issue quarterly progress reports. If these prove favorable, Greece will receive 4.8 billion euros over the next four years in profits from Greek bonds held by its European creditors.